The following are questions asked about the 2018 Sunshine State ACS Florida State Championships. Click a question below to get the answer to that particular question. Please contact us if you have question that is not answered below. 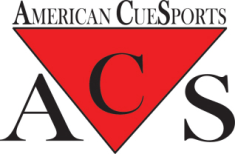 I am an ACS member that competes in an ACS Sanctioned league that did not pay the Sunshine State (ACS) Pocket Billiards Association fee. Can I still compete in the 2018 Florida State Championships? NO. All Florida ACS leagues must pay the $5 per league player Sunshine State (ACS) Pocket Billiards Association fee to compete in the 2018 Florida State Championships. How many weeks must I have played in an ACS Sanctioned league to be eligible to compete in the ACS events? A minimum of 8 weeks of regularly scheduled ACS league matches. Next year players will need to compete at least 8 weeks or 50% of the regularly scheduled league matches. Which ever is greater. My ACS team wants to compete in this year's championships. How many original team members do we need on our tournament team? The goal of the Sunshine State ACS Florida State Championships is for league teams to compete against other league teams. Therefore, you need a minimum of 4 original players from your team to compete in this tournament. Teams that don’t have 4 original players must get approval from the tournament director to compete. I am not an ACS member, can I compete in the 2018 Florida State Championships. NO. You cannot compete in the 2018 Florida State Championships. All ACS Events are for ACS members only. All players must meet amateur status requirements. No player considered a “Professional” by ACS or CCS will be permitted to play in any ACS sanctioned event during the 2018 Sunshine State ACS Florida Championship. The Sunshine State ACS Player Review Committee reserves the right to disqualify anyone formerly or currently considered to be a professional caliber player based on Known Ability. I am not from Florida. Can I compete in the 2018 Florida State Championships? What rules will be used for tournament play? Rules governing play are ACS Rules and the World Standardized Rules” . All players are required to register prior to competition. Team captains will register for the entire team. Players will flip a coin prior to starting match and the winner will have the choice of whether to break or rack. Captains will flip a coin for their respective teams to determinehome team. All events will feature a double elimination format. What is the dress code for the tournament? The dress code will be in effect and enforced at all times during competition. No player may compete while wearing ripped, torn or stained clothing. Suggestive clothing as determined by a Referee may not be worn at any time while competing in the tournament. Shirts must be polo/golf style or button-down style with a conventional fold-over collar. Vests may be worn over shirts or blouses; however, the wearing of T-shirts, tank tops, halter tops or swim wear of any type will not be permitted. Dress slacks are preferred but neat clean, untorn jeans are acceptable. No players will be allowed to wear cutoffs, bib-type overalls, or running/jogging/sweat pants or suits. Shorts may be worn but the hem must be within 1″of the top of the knee. Clean, neat shoes must be worn at all times. No bare or stocking feet. Open-toe shoes are not permitted except for medical reasons when approved by the tournament committee. Team shirts are required for all teams during team competition. Shirt/blouse must meet general requirements. Color and style must be matching for all team members. The Tournament Director is the final authority on dress code at all times. The Tournament Director may require immediate compliance or compliance at their discretion. Is there an administration fee to compete in this tournament? A $5 per player per event administration fee is included in the registration event in each event. Therefore, there are no additional fees. What type of pool tables will be used for this tournament? 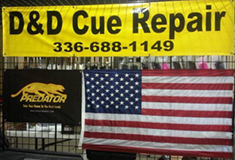 The Sunshine State ACS Florida State Championships will use Valley bar box pool tables.